Law Web: Whether objection to jurisdiction of arbitrator can be raised after filing statement of defence? Whether objection to jurisdiction of arbitrator can be raised after filing statement of defence? As far as the first contention of Dr. Saraf is concerned that the award is bad because the Arbitrator inherently lacked jurisdiction, we find this argument without any substance. The Arbitral Tribunal was constituted pursuant to an order passed on 24th January, 2011 by a learned Single Judge of this Court being the designate of the Hon'ble Chief Justice of this Court (in Arbitration Application No. 42 of 2010 filed under Section 11 of the Act). When this Arbitration Application was argued, the only contention raised and as recorded in the order, was that the claim made by the Respondent herein (the Applicant in Arbitration Application No. 42 of 2010) was barred by the Law of Limitation. This order can be found on page 229 of the paper-book. There is not a single whisper in this order or in the Application filed under Section 11 of the Act that the designate of the Hon'ble Chief Justice is not empowered to appoint an Arbitrator. "16. (2) A plea that the Arbitral Tribunal does not have jurisdiction shall be raised not later than the submission of the statement of defence; however, a party shall not be precluded from raising such a plea merely because that he has appointed, or participated in the appointment of, an arbitrator." On a plain reading, this provision mandates that a plea that the tribunal does not have jurisdiction shall not be raised later than the submission of the statement of defence. There is no doubt about either the meaning of the words used in the section nor the intention. Simply put, there is a prohibition on the party from raising a plea that the tribunal does not have jurisdiction after the party has submitted its statement of defence. The intention is very clear. So is the mischief that it seeks to prevent. This provision disables a party from petitioning a tribunal to challenge its jurisdiction belatedly, having submitted to the jurisdiction of the tribunal, filed the statement of defence, led evidence, made arguments and ultimately challenged the award under Section 34 of the Arbitration Act, 1996. This is exactly what has been done by the respondent Corporation. They did not raise the question of jurisdiction at any stage. They did not raise it in their statement of defence; they did not raise it at any time before the tribunal; they suffered the award; they preferred a petition under Section 34 and after two years raised the question of jurisdiction of the tribunal. In our view, the mandate of Section 34 clearly prohibits such a cause. A party is bound, by virtue of subsection (2) of Section 16, to raise any objection it may have to the jurisdiction of the tribunal before or at the time of submission of its statement of defence, and at any time thereafter it is expressly prohibited. Suddenly, it cannot raise the question after it has submitted to the jurisdiction of the tribunal and invited an unfavourable award. It would be quite undesirable to allow arbitrations to proceed in the same manner as civil suits with all the well-known drawbacks of delay and endless objections even after the passing of a decree. Zee Sports Ltd. Vs. Nimbus Media Pte. Ltd.
S.C. Dharmadhikari and B.P. Colabawalla, JJ. 1. This Commercial Appeal, filed under Section 37 of the Arbitration and Conciliation Act, 1996 ("said Act"), takes exception to two orders passed by the learned Single Judge on 31st January, 2017 and 7th February, 2017 respectively. The order dated 31st January, 2017 was passed in Chamber Summons (ST) No. 114 of 2017 in Arbitration Petition No. 1698 of 2017. This Chamber Summons sought an amendment to the Arbitration Petition to incorporate the ground of challenge to the award dated 3rd August, 2015 rendered by the Learned Arbitrator mainly on the ground that the award passed by the Arbitrator was a nullity. The gist of this amendment was that since the Respondent being a company incorporated in Singapore, the proceedings were an International Commercial Arbitration [as defined under Section 2(f) of the Act], and therefore, any application under Section 11 of the Act, for appointment of an Arbitrator, was required to be made to Hon'ble the Chief Justice of India or His designate. Since the appointment was made by a learned Judge designated by Hon'ble the Chief Justice of this Court, the order appointing learned Arbitrator was without jurisdiction and consequently all further proceedings including the impugned award was, therefore, a nullity. This Chamber Summons was heard by the learned Single Judge and rejected by the order dated 31st January, 2017. As far as the order dated 7th February, 2017 is concerned, the learned Single Judge heard the Arbitration Petition that was filed under Section 34 of the Act, and rejected the same. It is, these two orders, that are impugned before us in the present appeal. "(a) The Appellant is a company incorporated under the provisions of the Companies Act, 1956 and belongs to "Zee Group" which has various companies under its fold including the Appellant. The Respondent, on the other hand, is a company incorporated in Singapore having its registered office at Singapore. The Respondent in turn belongs to the Nimbus Group of Companies. The parent company of the Nimbus Group is Nimbus Communications Ltd. of which the Respondent is a subsidiary. (b) On 17th April, 2004, a Memorandum of Understanding ("MOU") was executed between Zee Entertainment Enterprise Limited ("ZEEL") and Nimbus Communications Limited ("NCL") for incorporating a Joint Venture Company to launch a sports channel concerning cricket. Pursuant to this MOU, on 19th May, 2004, an agreement was executed between ZEEL and NCL to form a joint venture to launch a television sports channel called "Zee Sports" and to pay for the rights for the cricket played in India. Thereafter, on 17th January, 2005 an agreement was entered into between the Petitioner and the Respondent in respect of the services to be provided with reference to this sports channel. To put it briefly, it was agreed between the parties that the services in respect of launching this sports channel were to be extended and were extended by the Respondent. This agreement laid down various clauses in respect of the fees and out of pocket expenses to be paid and also set out the schedule of payment thereupon. It is this agreement which is the foundation of the dispute, which forms the subject matter of the arbitration. (c) Thereafter, there were certain e-mails that were exchanged between the parties which confirms that various services were provided by the Respondent. On 22nd May, 2006, the Respondent addressed an e-mail to the Petitioner raising a query regarding the outstanding payment which was responded to by the Petitioner on 24th May, 2006 stating that a payment schedule will be prepared with an intention of squaring off of all the dues and immediately an amount of Rs. 1 Crore will be released. These communications are of some significance and we shall refer to them in more detail later in this judgment. Be that as it may, since all the dues were not squared off, on 9th October, 2006, the Respondent sent another e-mail seeking to expedite the payment of its dues. (d) Apart from the transaction that arose pursuant to the agreement dated 17th January, 2005, there were also other transactions between the Zee Group and the Nimbus Group. Since, there were certain disputes between the said two groups, a suit was filed in this Court being Suit No. 1410 of 2009 by Nimbus Communications Ltd. (the parent company) against the Appellant in respect of certain dues. This suit is still pending in this Court. Be that as it may, since the dues of the Respondent herein were not paid, disputes arose between the Appellant and the Respondent herein and therefore, the Respondent, by its letter dated 20th May, 2009, invoked the arbitration clause contained in the agreement dated 17th January, 2005. (e) Since, the claim of the Respondent was contested by the Appellant, the Respondent herein was constrained to file Arbitration Application No. 42 of 2010 in this Court, under Section 11 of the said Act for appointment of an Arbitrator. This Arbitration Application was disposed of on 24th January, 2011 wherein the learned Single Judge of this Court (being a designate of the Chief Justice of this Court) appointed a learned retired Judge of this Court as the Sole Arbitrator. (f) Once this course of action was adopted, the Respondent herein (being the claimant in the arbitration) filed its statement of claim. To put it in a nutshell, it was the claim of the Respondent herein that it had rendered various advisory services to the Petitioner as stipulated in the agreement dated 17th January, 2005. The details of various services provided and the persons involved in providing these services were also set out. A large number of e-mails were placed on record by the Respondent and, therefore, it contended that the Respondent was entitled to receive a sum of US$ 1 million + out of pocket expenses as contemplated in the agreement dated 17th January, 2005. Before the learned Arbitrator, the Respondent made a claim in the sum of US$ 1,294,372.15 with interest on the principal sum of US$ 1 million at the rate of 5% per annum. An amount of US$ 36,742 out of pocket expenses including interest was also claimed in the statement of claim. (g) To contest this claim of the Respondent, the Appellant (being the Respondent in the arbitration) filed its statement of defence. One of the contentions raised in the statement of defence was that the claim of the Respondent herein (the claimant before the arbitration) was barred by the Law of Limitation. It was contended that under the agreement dated 17th January, 2005, the last payment was due in September 2005 and the arbitration was invoked on 20th May, 2009. It was therefore contended that the claim of the Respondent herein was time barred. There were several other defences also raised such as, the agreement dated 17th January, 2005 was only a paper arrangement and was not to be acted upon and in fact was abandoned. After filing of the statement of defence, the learned Arbitrator also permitted the parties to file their rejoinder and sur - rejoinder respectively. (h) On these pleadings, the parties lead their oral evidence and were also cross-examined by the opposite parties. After considering all the material on record, the learned Arbitrator concluded that the agreement dated 17th January, 2005 was a legally binding agreement duly executed by both the parties and which was formally brought into force. The Arbitrator held that the Respondent herein had proved its claim in the amount of US$ 1 million along with interest at the rate of 5%. This finding was arrived at on the basis that the oral and documentary evidence submitted by the Respondent herein was convincing and had to be accepted. The Arbitrator held that the services were in fact provided by the Respondent pursuant to the agreement dated 17th January, 2005 and rejected the evidence led by the Appellant regarding the agreement that it was not to be acted upon and in fact was not acted upon as the same was not believable. 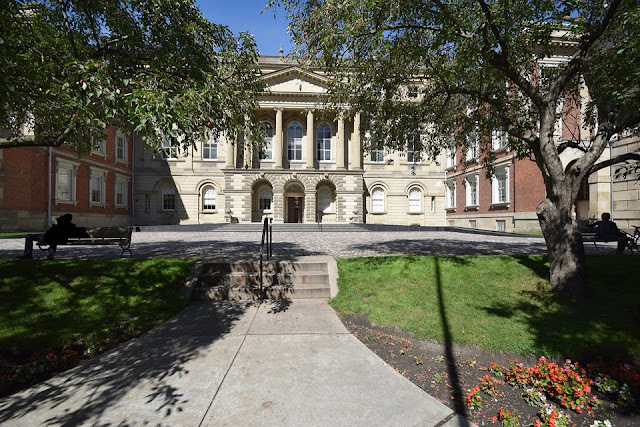 The learned Arbitrator also held that in view of the acknowledgment of debt in May - 2006, the claim made by the Respondent was not time barred. Accordingly, the Arbitrator proceeded to pass the impugned award dated 3rd August, 2015 directing payment of US$ 1,294,372.15 along with interest as stipulated. (i) Being aggrieved by this award, the Appellant herein approached this Court under Section 34 of the said Act by filing Arbitration Petition No. 1698 of 2015. This Arbitration Petition was filed sometime in or about 27th October, 2015. Whilst this Arbitration Petition was pending and at its fag end, a Chamber Summons was filed bearing No. 114 of 2017 for amendment to the Arbitration Petition for inclusion of an additional ground of challenge to the impugned award. The ground sought to be raised by way of this amendment was in a nutshell that the Respondent being a foreign entity, the arbitration between parties was an International Commercial Arbitration, and therefore, the designate of Hon'ble the Chief Justice of this Court was not empowered to appoint the arbitrator. Consequently, all proceedings flowing therefrom were, therefore, a nullity and the impugned award ought to be set aside on this ground alone. What is important to note is that this ground of challenge was never ever raised either before the learned Judge who appointed the Arbitrator vide his order dated 24th January, 2011 and neither was it ever raised before the learned Arbitrator. In fact even in the Arbitration Petition as originally filed, this ground finds no place. It was for the first time on or about 25th January, 2017 (when this Chamber Summons was filed), that this ground was taken up. (j) Be that as it may, this Chamber Summons was heard by the learned Single Judge and by his order dated 31st January, 2017, rejected the same. The principal ground on which this Chamber Summons was rejected, was that this particular objection was never raised by the Appellant in the statement of defence before the Arbitrator, nor during the arbitral proceedings and neither in the Arbitration Petition filed under Section 34 of the said Act, within the period of limitation as set out therein. No foundation for this ground was ever laid. The amendment sought to bring in a completely new ground, after a period of limitation, and the same could not be permitted. It was in these circumstances that the Chamber Summons was rejected. (k) Thereafter, the Arbitration Petition itself was heard by the learned Single Judge and finding no merit in the same, dismissed it by the impugned order dated 7th February, 2017. Being aggrieved by these two orders (dated 31st January, 2017 and 7th February, 2017) the Appellant has invoked our appellate jurisdiction." (iii) The award suffers from the vice of perversity on the ground that the evidence adduced by the Appellant before the Arbitrator was not considered." 4. Apart from these three contentions, no other contentions were raised by Dr. Saraf before us. For all the aforesaid reasons, Dr. Saraf submitted that the impugned award as well as the impugned orders dated 31st January, 2017 and 7th February, 2017 cannot be allowed to stand and have to be quashed and set aside by us in our appellate jurisdiction. 5. On the other hand, Mr. Jain, learned Counsel appearing on behalf of the Respondent, sought to support the impugned award as well as the impugned orders dated 31st January, 2017 and 7th February, 2017. As far as the issue of inherently lacking jurisdiction is concerned, Mr. Jain submitted that this argument is without any merit. He submitted that this ground, that the Arbitral Tribunal has been constituted by an authority which never had power to do so, was never taken by the Appellant either before the authority that appointed the Arbitrator, nor in the statement of defence. Further, this contention was never even raised during the arbitral proceedings before the Arbitrator. He submitted that the Appellant does not stop here. Even in the Arbitration Petition, as originally filed, this contention was never raised. This contention was raised for the first time only in January - 2017 when the Appellant sought to file a Chamber Summons to amend the Arbitration Petition to incorporate the aforesaid ground. He submitted that this was not an inherent lack of jurisdiction such as the Arbitrator not having jurisdiction to decide the particular dispute namely, a dispute between landlord and tenant which was within the exclusive jurisdiction of the Small Causes Court. The Appellant not having raised the issue of jurisdiction of the Arbitrator either under Section 16 of the said Act, and not in the Arbitration Petition as originally filed within the period of limitation, cannot be allowed to raise this ground today. It is clearly, an afterthought and ought to be rejected by us. He submitted that this ought to impress us in the facts of the present case, because the Appellant had participated in the arbitral proceedings (and except in cases of inherent lack of jurisdiction), a party cannot be allowed to approbate and reprobate in this fashion. He, therefore, submitted that there was no merit in this argument, and therefore, ought to be rejected. 6. As far as the issue of limitation is concerned, Mr. Jain submitted that the reliance placed by the learned Arbitrator on the communication dated 24th May, 2006, to extend the period of limitation was fully justified and there can be no difficulty with reference to the same. He submitted that admittedly the arbitration was commenced by the Respondent vide its letter dated 20th May, 2009, and therefore, if three years are counted from 24th May, 2006, the claim of the Respondent was clearly within limitation. He submitted that the issue of limitation is a mixed question of fact and law. The learned Arbitrator has considered this issue in detail in the arbitral award, and therefore, we, in our limited jurisdiction under Section 34 of the said Act cannot sit in appeal over the decision of the Arbitrator, if the view taken by the Arbitrator is a possible and/or a plausible view. This Court cannot set aside the award even if we are of the opinion that a different view was possible, was the submission. 7. As far as the argument of Dr. Saraf that the Arbitrator has not considered the evidence adduced by the Appellant, Mr. Jain submitted that this argument too is of no substance. He submitted that the Arbitrator has passed a detailed award running into over 150 pages and has considered all aspects of the matter. It is not as if that there were something that was extremely germane, that has not been considered by the Arbitrator. It is one thing to say that the Arbitrator has completely ignored the evidence led by the Appellant and it is wholly another to go into the sufficiency or the weightage to be given to that evidence. In the latter, this Court, cannot, sit in appeal over the decision of the Arbitrator in its limited jurisdiction under Section 34 of the Act. For all the aforesaid reasons, Mr. Jain submitted that there was no requirement for any interference either in the impugned award or in the impugned orders dated 31st January, 2017 or 7th February, 2017. Consequently, he submitted that the appeal is wholly frivolous and ought to be dismissed with compensatory costs. 8. We have heard the learned Counsel for parties at length and perused the papers and proceedings in this appeal. We have also given our anxious consideration to the impugned award as well as the impugned orders dated 31st January, 2017 and 7th February, 2017 respectively. Before we deal with the rival contentions, we must state that we are in agreement with Mr. Jain that this appeal is a wholly frivolous proceeding. For the reasons that follow, we have no hesitation in holding that the contentions raised by Dr. Saraf are wholly without merit and we are of the firm opinion that this appeal has been filed only to stall execution of the award passed against the Appellant. In fact, during the arguments, we had put it to Dr. Saraf that we will be willing to give the Appellant reasonable time to make payment as per the award, if the Appellant wishes to do so. However Dr. Saraf, on taking instructions, informed us that his client is not willing to make payment and wants to proceed with this appeal. It is, in these circumstances, that we are constrained to make these observations. 9. As far as the first contention of Dr. Saraf is concerned that the award is bad because the Arbitrator inherently lacked jurisdiction, we find this argument without any substance. The Arbitral Tribunal was constituted pursuant to an order passed on 24th January, 2011 by a learned Single Judge of this Court being the designate of the Hon'ble Chief Justice of this Court (in Arbitration Application No. 42 of 2010 filed under Section 11 of the Act). When this Arbitration Application was argued, the only contention raised and as recorded in the order, was that the claim made by the Respondent herein (the Applicant in Arbitration Application No. 42 of 2010) was barred by the Law of Limitation. This order can be found on page 229 of the paper-book. There is not a single whisper in this order or in the Application filed under Section 11 of the Act that the designate of the Hon'ble Chief Justice is not empowered to appoint an Arbitrator. The scheme of the Act is thus clear. All objections to jurisdiction of whatever nature must be taken at the stage of the submission of the statement of defence, and must be dealt with under Section 16 of the Arbitration Act, 1996. However, if one of the parties seeks to contend that the subject-matter of the dispute is such as cannot be dealt with by arbitration, it may be dealt under Section 34 by the Court." 11. We find that this decision applies with full force to the facts of the case before us. This is not a case where the subject matter of the arbitration was not capable of being settled/resolved by the Arbitral Tribunal. In fact, that is not even the case projected before us by Dr. Saraf. The argument before us is that the authority under Section 11 of the Act appointing the Arbitrator was not empowered to do so by virtue of the fact that this was a Commercial International Arbitration, and therefore, the Arbitrator could only be appointed by Hon'ble the Chief Justice of India or its designate. This being the argument, we find that the observations of the Supreme Court in the case of MSP Infrastructure Ltd. MANU/SC/1144/2014 : (2015) 13 SCC 713 would apply with full force and the Appellant, after having submitted to the jurisdiction of the arbitrator, cannot now be allowed to raise this ground in a Petition filed under Section 34 of the Act and that too by way of an amendment which was beyond the period of limitation as stipulated in Section 34(3) of the Act. We, therefore, have no hesitation in rejecting this contention. We must also note that an order passed by the designate of the Chief Justice of this Court has now been held to be a judicial order and from which an SLP can be filed before the Supreme Court. Admittedly, the order passed by the designate of the Chief Justice dated 24th January, 2011 was never challenged by the Appellant and has therefore attained finality. The Appellant now, cannot in this indirect fashion, challenge the said order appointing the Arbitrator, and that too under section 34 of the Act. This is an additional ground on which we have no hesitation in rejecting the contention of Dr Saraf that the Arbitrator inherently lacked jurisdiction in passing the impugned award. (a) Whether the arbitral claim of the Claimant under Heads of Agreement dated 17.1.2005 is barred by Limitation as contended by the Respondents? (b) Whether the Claimant is justified in relying on the e-mail dated 24.5.2006 forwarded by the Respondent to the Claimant for extension of limitation under Section 18 of the Limitation Act, 1963 and whether in view of the notice invoking arbitration clause having been issued and delivered by the learned Advocate for claimant to the Respondents on 20.5.2009, the arbitral claim within time?" I refer to our meeting last week in which you had confirmed that at least 50% of the outstanding payments due to various Nimbus Group Companies from Zee would be paid by end of last week. We still have not received any payment let alone 50% of the outstandings. I think you will agree that we have been most patient and accommodating. I would appreciate it if the commitments are honoured and our payments released immediately. Please confirm by reply e-mail the amount being paid now. 14. The subject of this communication was, outstanding payments and there is no dispute, whatsoever, about the authenticity of either this e-mail or its receipt. I have asked Sudhir in our accounts to make a payment schedule and send it to Rajendra Agarwal with idea of squaring off all dues within the next 15 to 20 days. Immediately I have asked him to release Rs. 1 Crore for which he should have the check ready by this week end. 16. It is whilst construing these two letters and other correspondence exchanged between the parties that the learned Arbitrator came to a clear finding that the claim of the Respondent in the arbitration was not barred by the Law of Limitation. In fact, whilst reading these two communications and on careful perusal of these two communications, we are unable to agree with the submission of Dr Saraf that this communication dated 24th May, 2006 was in relation to some other transaction and not with reference to the transaction/dispute that forms the subject matter of the agreement dated 17th January, 2005. What one must take into account is that these two communications were between the heads of the respective groups. It is, for this reason, that the communication dated 24th May, 2006 has clearly referred to squaring off of all dues within the next 15 to 20 days. There is nothing in this communication to suggest that this is related to some other or distinct transaction and not to the one which forms the subject matter of the arbitration. We are, therefore, clearly of the view that reading the correspondence referred to by the learned arbitrator, he was fully justified in coming to the conclusion that the claim of the Respondent was not barred by the Law of Limitation and was within time. In any event, on going through the award, we are of the opinion that the view taken by the Arbitrator was certainly a possible and/or a plausible view, and with which we cannot interfere in our limited jurisdiction under Section 34 of the Act. This being the position, we find no merit in this contention also. "2. (1)(b) 'arbitration agreement' means an agreement referred to in Section 7;"
46. In terms of the 1996 Act, a departure was made so far as the jurisdiction of the court to set aside an arbitral award is concerned vis-à-vis the earlier Act. Whereas under Sections 30 and 33 of the 1940 Act, the power of the court was wide, Section 34 of the 1996 Act brings about certain changes envisaged thereunder. (c) that an award has been improperly procured or is otherwise invalid." 48. The section did not contain the expression "error of law....". The same was added by judicial interpretation. While interpreting Section 30 of the 1940 Act, a question has been raised before the courts as to whether the principle of law applied by the arbitrator was (a) erroneous or otherwise, or (b) wrong principle was applied. If, however, no dispute existed as on the date of invocation, the question could not have been gone into by the arbitrator. 49. The 1996 Act makes a radical departure from the 1940 Act. It has embodied the relevant rules of the modern law but does not contain all the provisions thereof. The 1996 Act, however, is not as extensive as the English Arbitration Act. 50. Different statutes operated in the field in respect of a domestic award and a foreign award prior to coming into force of the 1996 Act, namely, the 1940 Act, the Arbitration (Protocol and Convention) Act, 1937 and the Foreign Awards (Recognition and Enforcement) Act, 1961. All the aforementioned statutes have been repealed by the 1996 Act and make provisions in two different parts, namely, matters relating to domestic award and foreign award respectively. 51. After the 1996 Act came into force, under Section 16 of the Act the party questioning the jurisdiction of the arbitrator has an obligation to raise the said question before the arbitrator. Such a question of jurisdiction could be raised if it is beyond the scope of his authority. It was required to be raised during arbitration proceedings or soon after initiation thereof. The jurisdictional question is required to be determined as a preliminary ground. A decision taken thereupon by the arbitrator would be the subject-matter of challenge under Section 34 of the Act. In the event the arbitrator opined that he had no jurisdiction in relation thereto an appeal there against was provided for under Section 37 of the Act. 52. The 1996 Act makes provision for the supervisory role of courts, for the review of the arbitral award only to ensure fairness. Intervention of the court is envisaged in few circumstances only, like, in case of fraud or bias by the arbitrators, violation of natural justice, etc. The court cannot correct errors of the arbitrators. It can only quash the award leaving the parties free to begin the arbitration again if it is desired. So, the scheme of the provision aims at keeping the supervisory role of the court at minimum level and this can be justified as parties to the agreement make a conscious decision to exclude the court's jurisdiction by opting for arbitration as they prefer the expediency and finality offered by it." 18. In view of the foregoing discussion, we find no merit in this Appeal. It is, therefore, dismissed with costs quantified at Rs. 2 Lacs. The costs shall be paid by the Appellant to the Respondent within a period of two weeks from today. It is clarified that if the costs are not paid within the stipulated time, the same shall be recovered as arrears of land revenue from the Appellant. 19. At this stage, Mr. Saraf learned counsel appearing for the Appellant would submit that there is a stay against the enforcement of the award, which is operating for over a year and that be continued so as to enable the Appellant to decide on the future course of action, including challenging this judgment in a higher court. This request is opposed by the learned counsel appearing for the Respondent, who submits that now the award is confirmed by not only the Single Judge, but by the Division Bench of this court. Hence, this request should not be granted. Having heard both sides on this limited point, we are of the view that the award is for payment of money. The award having been confirmed by the learned Single Judge of this court and in appeal by us today, the objection raised deserves to be upheld. The request is therefore refused.